This devastatingly funny one act follows a day in the life of Sam Peliczowski, an out-of-work actor who mans the red-hot reservation line at Manhattan’s number-one restaurant. Coercion, threats, bribes, histrionics—a cast of desperate callers will stop at nothing in their zeal to land a prime reservation, or the right table. Amid the barrage, Sam’s got his own needs to contend with—his recently widowed dad wants him home for Christmas, and he’s up for a choice part at Lincoln Center. While juggling scheming socialites, name-dropping wannabes, fickle celebrities and egomaniacal bosses, can he manage to look out for himself? 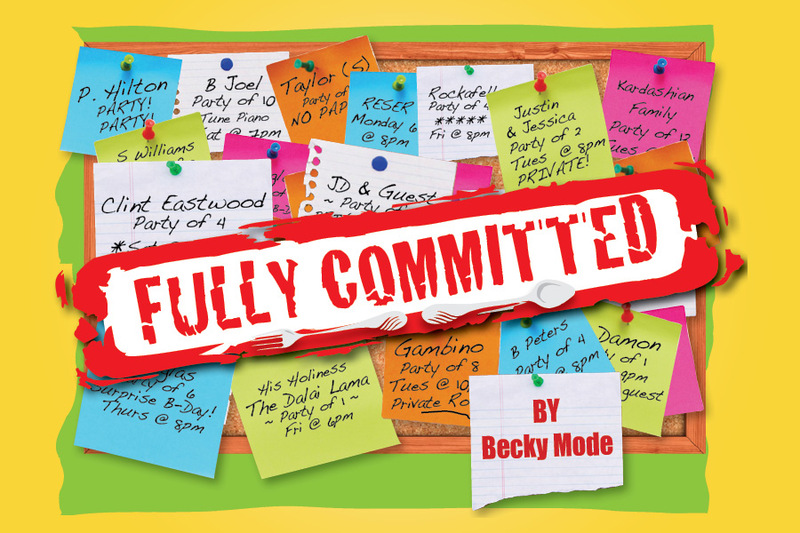 A wonderful acting challenge, FULLY COMMITTED has forty wildly diverse characters designed to be played by a single versatile performer.